TUESDAY, Aug. 21, 2018 -- The U.S. Preventive Services Task Force (USPSTF) has updated the recommendations for screening for cervical cancer; the final recommendation statement has been published in the Aug. 21 issue of the Journal of the American Medical Association. 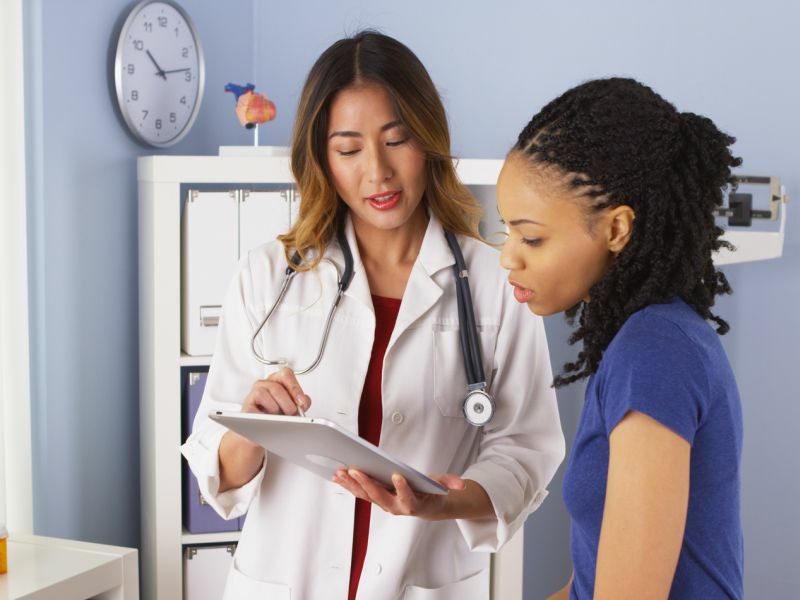 Joy Melnikow, M.D., from the University of California in Davis, and colleagues conducted a systematic review of the benefits and harms of cervical cancer screening for high-risk types of human papillomavirus (hrHPV) to inform the USPSTF. In addition, Jane J. Kim, Ph.D., from the Harvard T.H. Chan School of Public Health in Boston, and colleagues conducted a microsimulation model of a hypothetical cohort of women initiating screening at age 21. The researchers found that screening can detect high-grade precancerous cervical lesions and cervical cancer, resulting in substantial reductions in cervical cancer incidence and mortality. Based on these findings, the USPSTF concludes with high certainty that the benefits of screening every three years with cytology alone substantially outweigh the harms for women aged 21 to 29 years. The benefits of screening every three years with cytology alone, every five years with hrHPV testing alone, or every five years with co-testing outweigh the harms in women aged 30 to 65 years. No significant benefits are seen for women aged older than 65 years who have had adequate prior screening or those younger than 21 years. "Screening for cervical cancer saves lives and identifies the condition early when it is treatable," Task Force member Carol Mangione, M.D., said in a statement. "There are several effective screening strategies available, so women should talk to their doctor about which one is right for them."